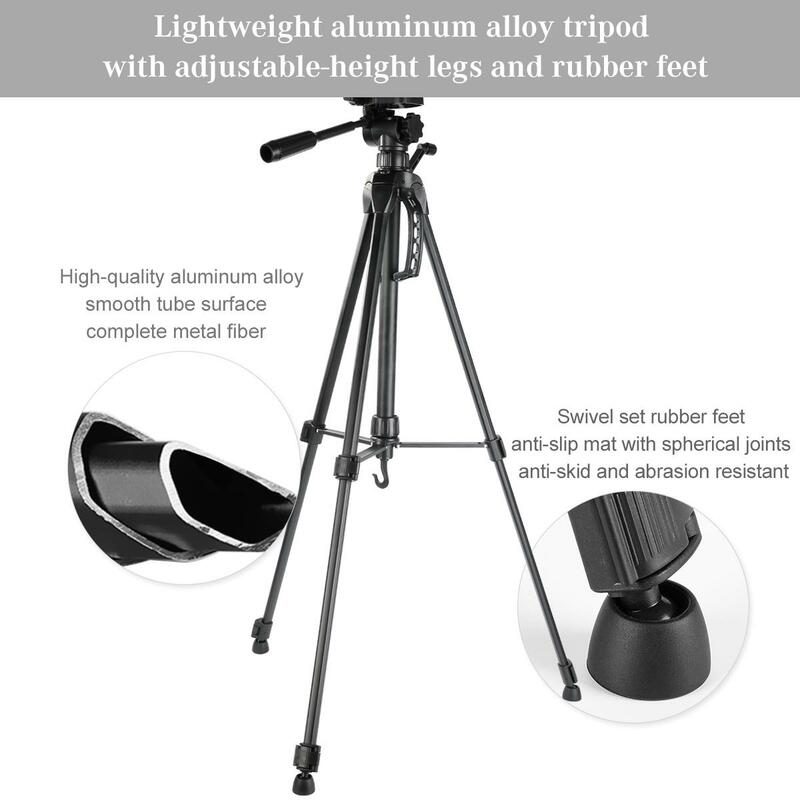 • Lightweight aluminum alloy tripod with adjustable-height legs and rubber feet; Two built-in bubble view levels and 3-way head to allow for tilt and swivel motion. 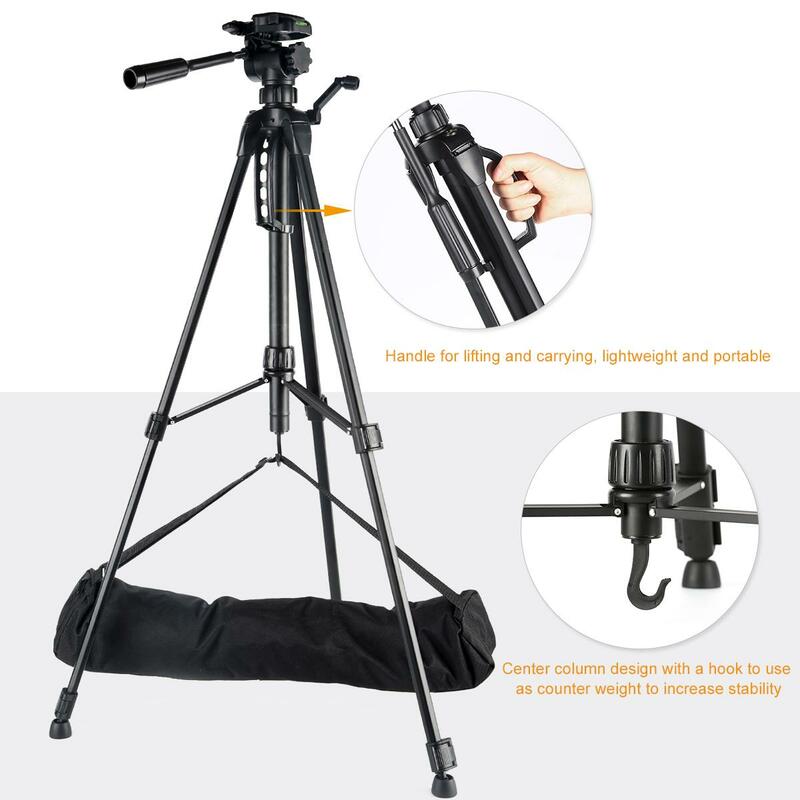 • Quick-release mounting plate helps ensure fast transitions between shots; Handle for lifting and carrying, lightweight and portable. 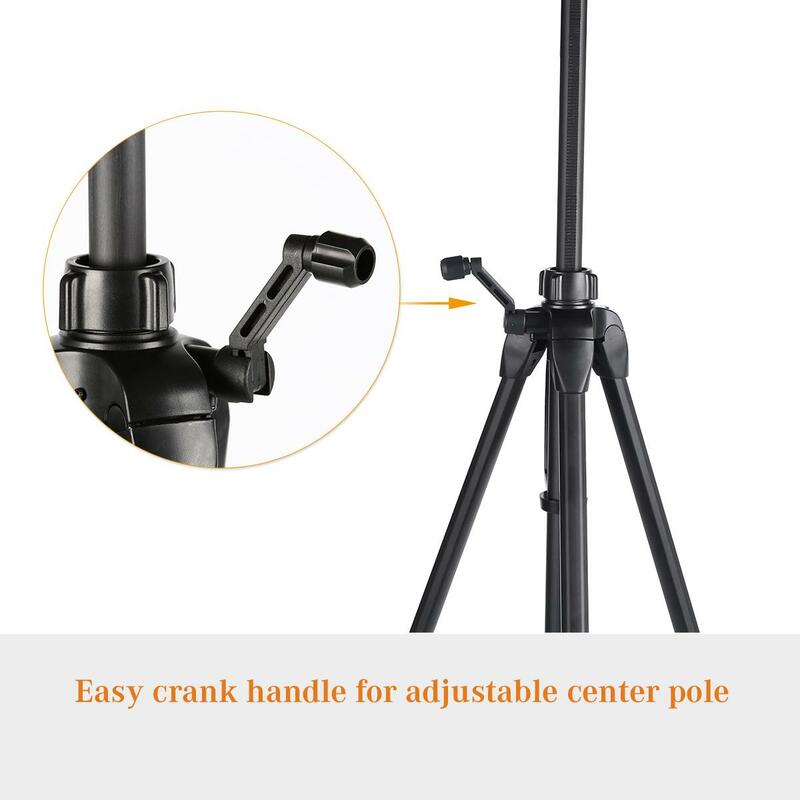 • Center column design with a hook to used as counter weight to increase stability; Durable quick release leg flip locks. 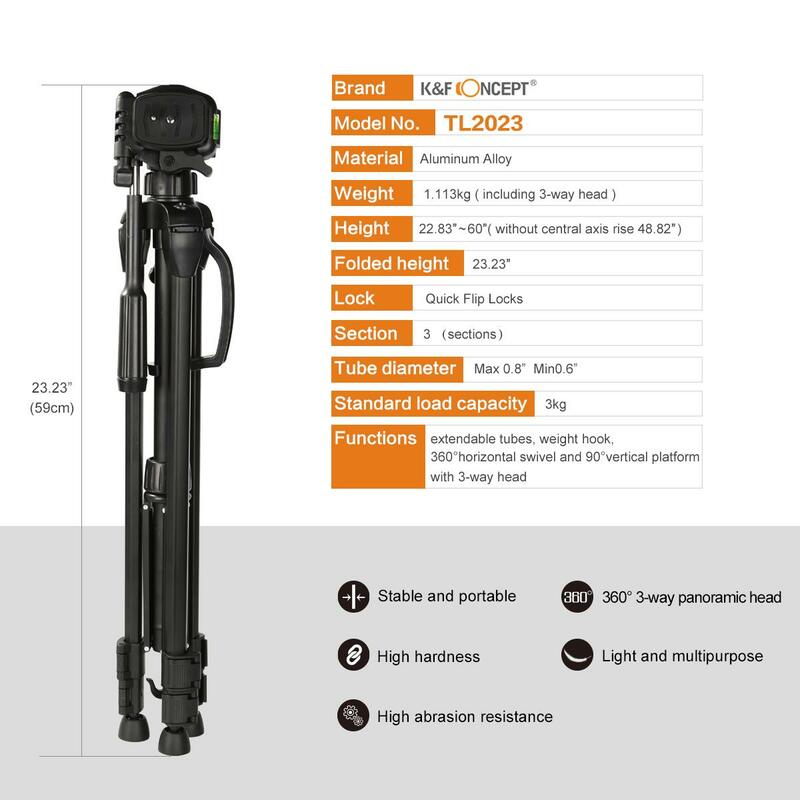 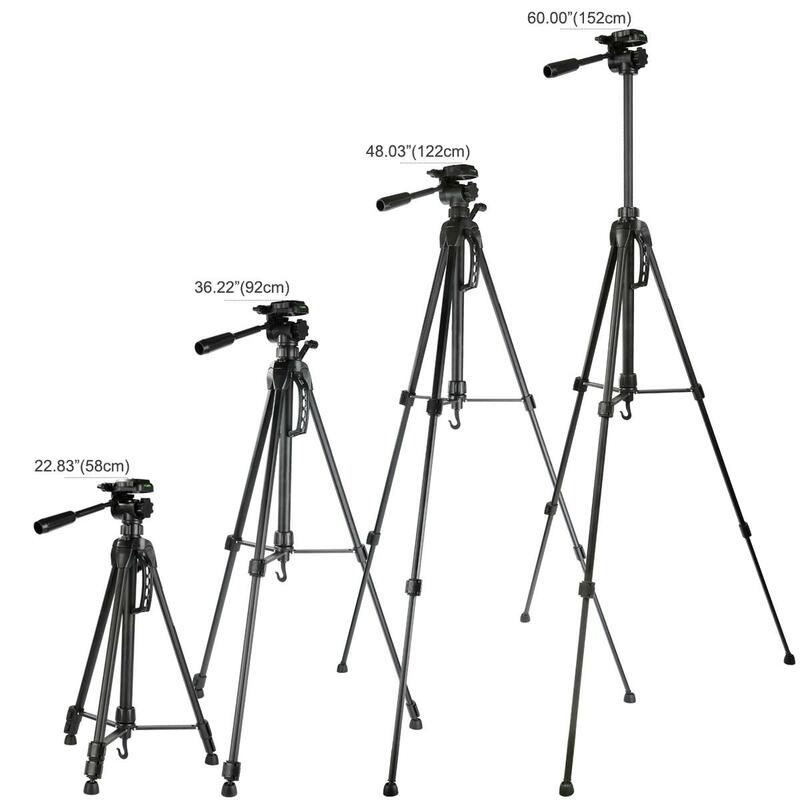 Why Choose Lightweight Tripod by K&F Concept KF-TL2023? 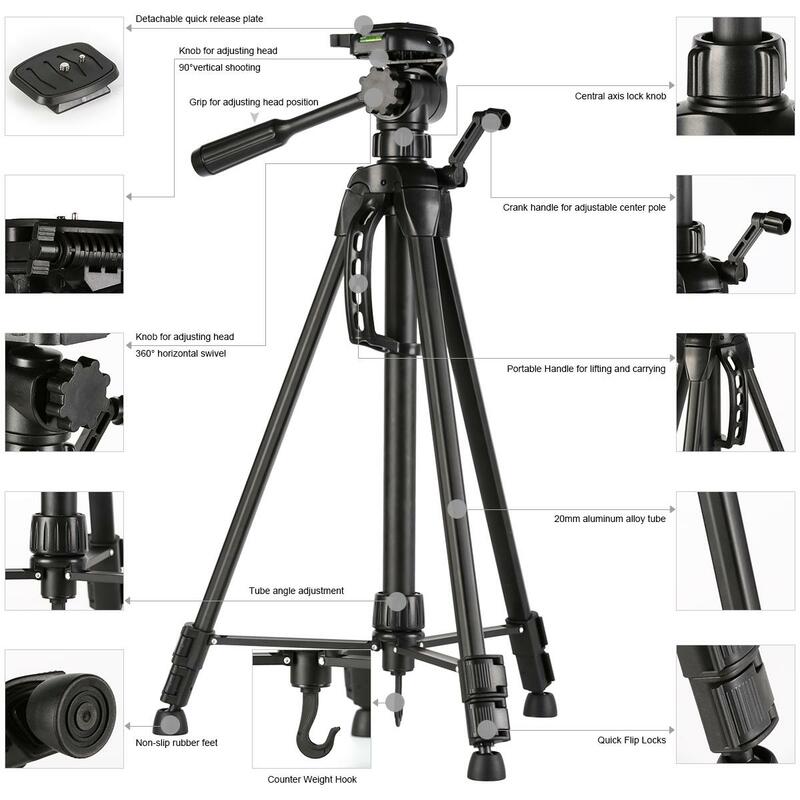 Tube made of magnesium aluminum alloy, easy to carry. 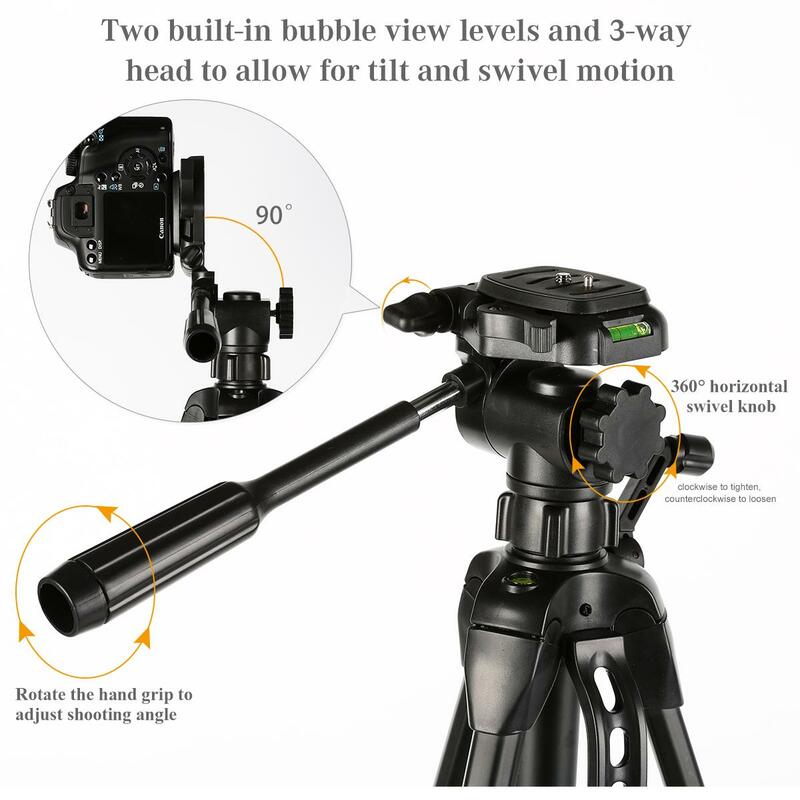 New angle locks allow you to rapidly select between 3 different angles for even more shooting possibilities. 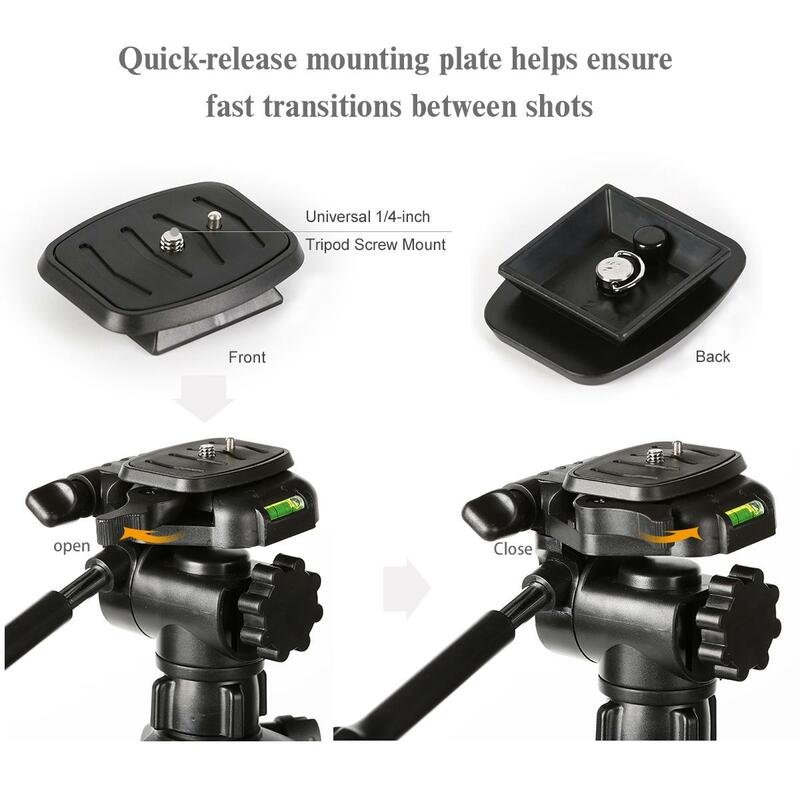 Fast and easy set-up Screw and the quick-release mounting plate, makes it easily to plate your camera onto the tripod. 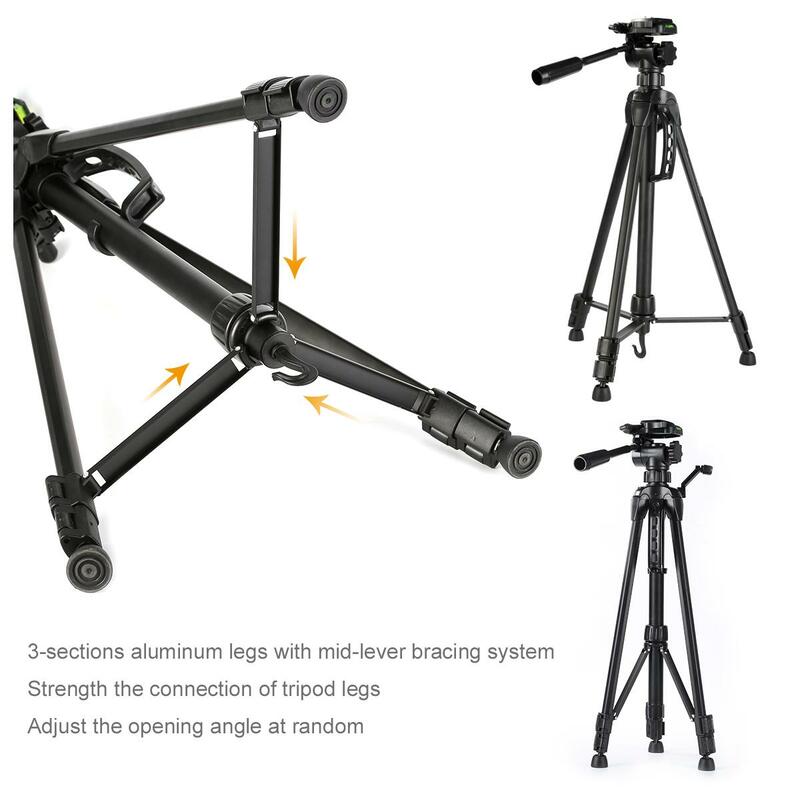 The rubber feet adjust to help you achieve the position. 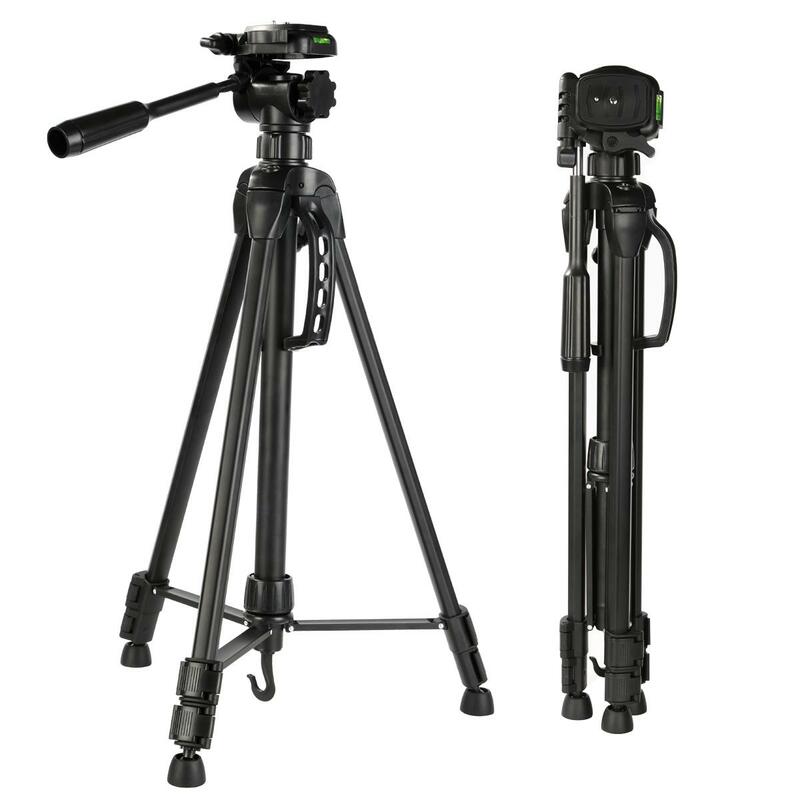 It has the rigidity intensity, high-efficiency shock absorption, heat resistance and corrosion resistance. 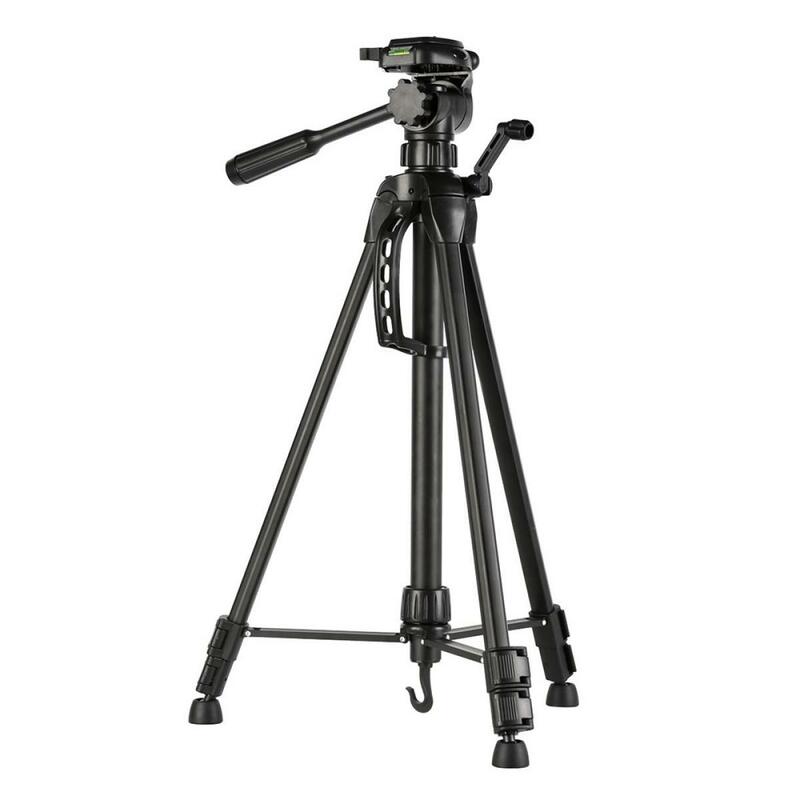 tripod come with a carry bag, convenient for outdoor and travel photography. 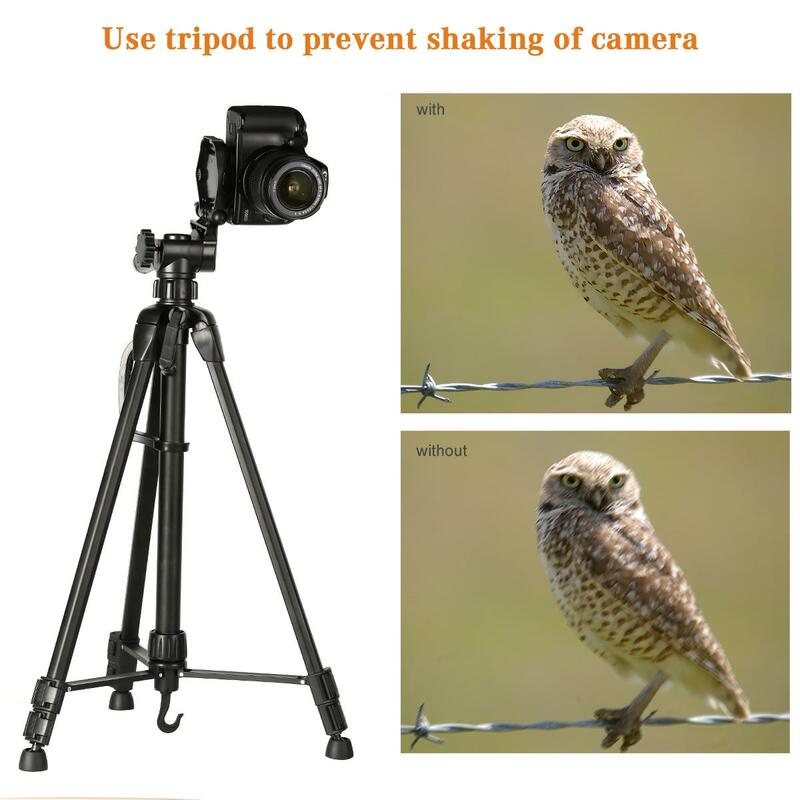 This tripod could not be converted to monopod.